I decided to build small bookcases under the two windows in this room to go with the two much larger bookcases. This is one of them; I sized it to be 55″ long and high enough to match up to the window sill so our cats will have some place to sit when the windows are open. The receptacle boxes made the top and bottom shelf heights unequal; the bottom shelf is 10″ high and the upper one is just over 15″. Trim boards will be added to the top and bottom and then everything stained when they are completed. 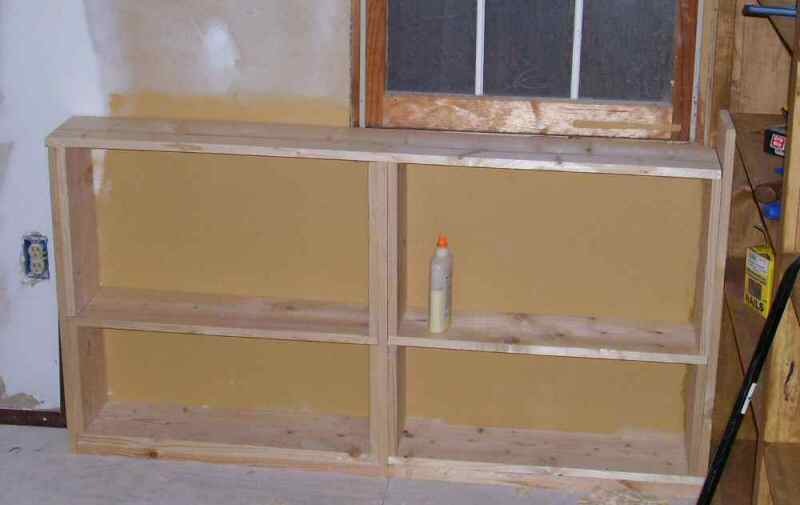 This bookcase is similar to the smaller one, but is 13′ wide with six 10″ wide shelves almost a foot apart. Each shelf is supported with hidden boards on each side of the central floor to ceiling planks. 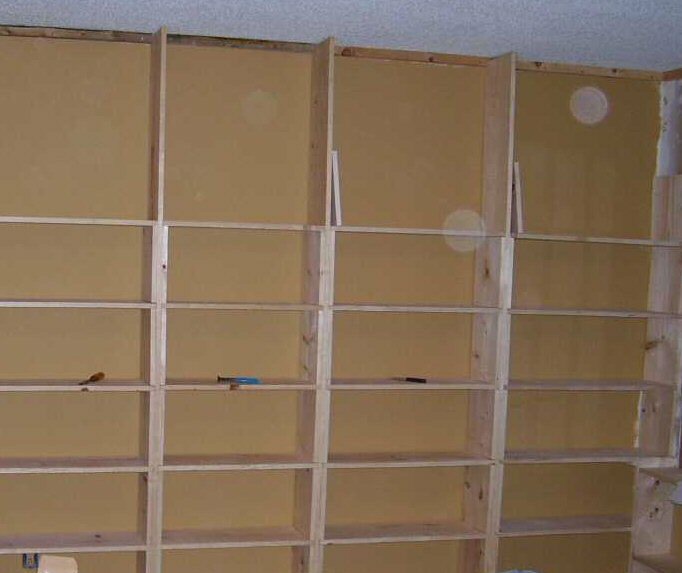 They will be concealed by facing boards when the bookcase is completed. A headboard will be added to the top and everything stained as well.